Think of your iPhone’s Usage setting as one of the places to go for statistics about how you employ that iPhone. You can access the Usage setting from the Settings screen. 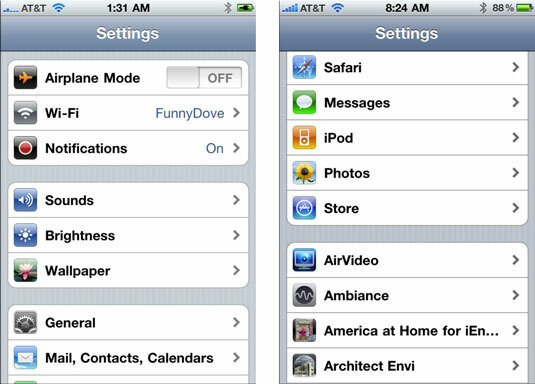 Tap the Settings icon on the iPhone Home screen. 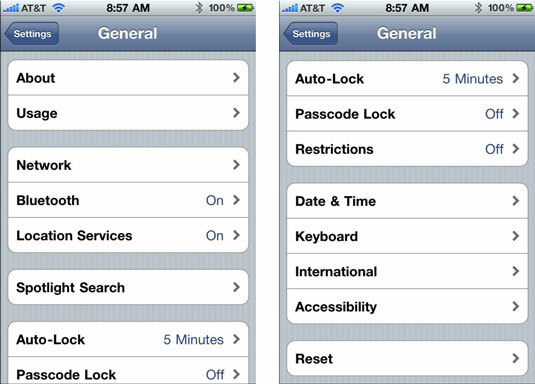 Tap General to open the General Settings screen. 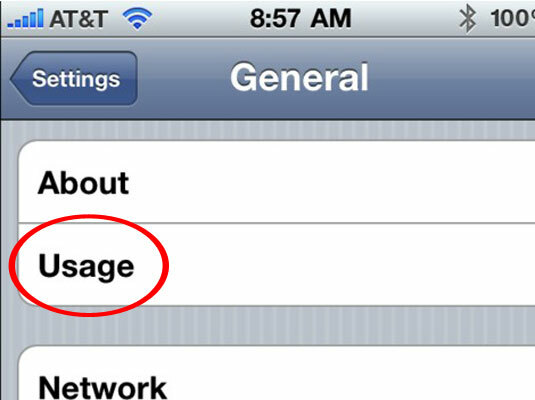 Tap Usage to — you guessed it — open the Usage Settings screen. The amount of time since you last fully charged your iPhone: Indicated in days and hours, for the time when the iPhone has been unlocked and in use, and also when it has been in Standby mode. Call time: Shown for the current period and for the lifetime of the product. Cellular network data: The amount of network data you sent and received over EDGE or 3G. You can reset these statistics by tapping the Reset Statistics button at the bottom of the screen.